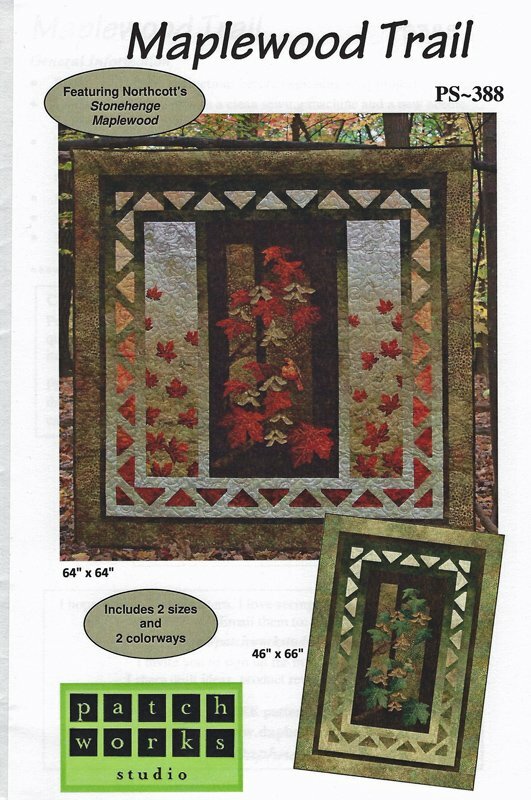 Maplewood Trail Quilt Pattern. Features Northcott's Stonehenge Maplewood panel and fabric. Includes 2 sizes - 64" x 64" and 46" x 66".